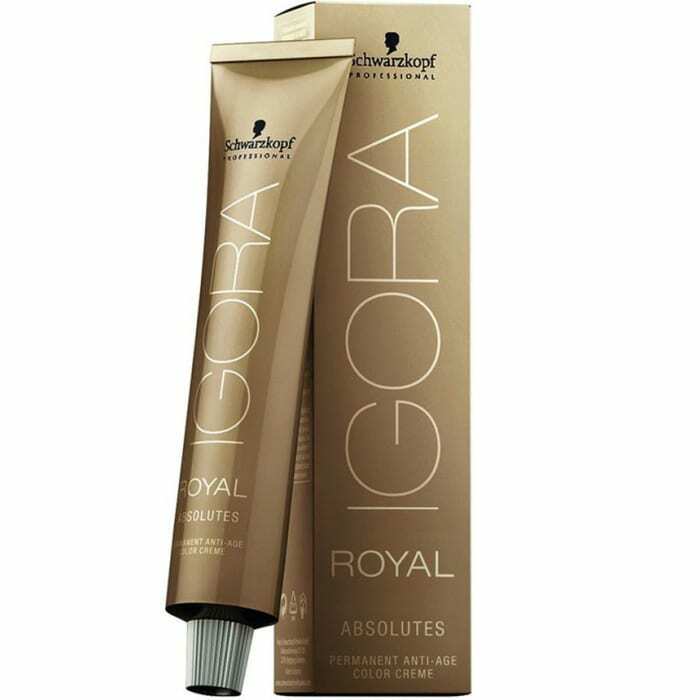 Schwarzkopf Igora Royal Permanent Hair Color achieves unrivaled results with the unique combination of Color Cream and Color & Care Developer for brilliant color performance. There are 14 shades of beautiful, natural, permanent hair colour designed for up to 100% coverage of white hair. The IGORA Royal Naturals colour family includes both standard natural colours (-0) and the -00 or "Natural Extra" tones. Colours cover the full range from black to a 9½- series platinum blonde and are best developed using IGORA Royal Colour & Care Developer. For the Natural tones choose the strength of developer depending on your desired result; for the Natural Extra tones, always use the 9% Colour & Care Developer.